In “Keeping the Books: Basic Recordkeeping and Accounting for the Successful Small Business, Seventh Edition," Linda Pinson defines accounts payable as those debts owed by a company to creditors for purchased goods or services rendered. Companies assign the responsibilities of disbursing payments to members of its accounting team or a dedicated accounts payable team. A dedicated accounts payable team employs standard sets of processing procedures. These procedures minimize overhead cost while maximizing vendor relations. Fraud, embezzlement and errors in processing can devastate a business. It is critical to implement control procedures to mitigate such risk. Some common and effective controls include: separation of duties to mitigate the risk of embezzlement; formal purchasing functions and guidelines to mitigate the risk of embezzlement, fraudulent invoices and errors; second signer dollar amount thresholds to mitigate the risk of embezzlement and errors; and systematic invoice number validation to mitigate the risk of duplicate payment errors. Creditors are added to the company’s database as vendors. This task is generally assigned to an accounts payable clerk or finance clerk that does not have the ability to generate payments. To ensure that payments are generated in a timely manner, vendors are encouraged to work with the accounts payable team to address invoicing issues. 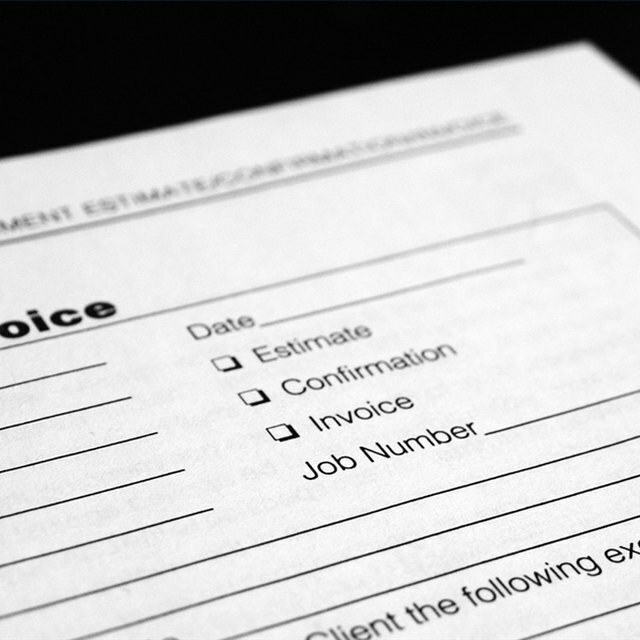 Contacting purchasing agents or the ordering department will add delays to locating or resolving unpaid or partially paid invoices. Vendors are instructed to send invoices directly to the accounts payable department. The invoice is time-stamped and the processing clock begins. If a purchase order was generated to procure goods or services, the invoice is matched to the purchase order and the proof of receipt. Mary S. Schaeffer discusses this “three way match” process in the book "Accounts payable: a guide to running an efficient department." If the purchase was made without a purchase order it must meet the company’s established guidelines. If the guidelines are met, the invoice is forwarded to the ordering department for approval and appropriate coding. The accounts payable analyst is authorized to generate payments. The analyst works diligently to process invoices in a timely manner to ensure that they are promptly paid and discounts are taken when possible. Both of these objectives result in opportunities to control overhead cost. This is especially important where government agencies are penalized for delayed payments. Electronic payments are another cost savings tool. This cuts the cost of paper checks and minimizes check fraud or embezzlement. If it is necessary to issue a partial payment or decline payment, the accounts payable analyst documents and explains the circumstances. The accounts payable analyst ensures that payments are disbursed according to company policy. The company’s internal auditing team will selectively review the results of the analyst’s work by requesting the documentation for a select group of invoices. The auditor reviews the documentation to ensure that control procedures were in place and properly followed. Insufficient control procedures result in unexpected losses. Additional time and cost are required to recover such losses.